Every author and aspiring author asks themselves this question at some point in their life. Sometimes they vocalize their query and sometimes not. Those who don’t may give it some thought or determine a plan of action on their own, but anyone who asks this question will almost always get the same answer nine times out of ten: read a lot and write a lot, which is exactly what best-selling author Stephen King suggests in his novel, On Writing. Dedicated to the art of successful story telling, this book is a mixture of memoir and a variety of detailed and general advice on how to write with metaphors that will either make you laugh or groan. On Writing is witty and comical, yet insightful and inspiring, in a way that makes you appreciate the written word for its full potential. This book was recommended to me by my creative writing instructor with the comment that it is the only self-help book for writers that he would ever recommend to anyone. With that kind of a recommendation I instantly put it on my list of books to read and promptly forgot all about it until a year later when I saw it on a list of options I needed to read for another class. At which time I realized this was the ideal time to give it a read, so I bought myself a copy. I was a little apprehensive about reading it, mostly because I don’t usually invest in books that claim to offer advice for writers; especially those that promise to help writers publish their first novel. All too often these books are far too specific and proclaim their method as “the best way” for any author who wants to succeed. All I can say is give me a break. If there were such a magical formula to publishing and making it big, it would be pounded into metal and stored in a vault where no one could read it. Secrets like that are too powerful for any mortal man to behold. Yet with this book I could not help but take notes, underline passages, and apply sticky notes to pages between burst of laughter. After I finished I began applying some of the principles discussed; mainly the act of setting a goal of how many words I will write in one day and locking myself in a room until I have fulfilled said goal. All that being said, this book isn’t for everyone. But let’s be honest; what novel is? Simply put, writing procedures, plans, and recommendations will not work for everyone (see rant about no magic formula above), but I think everyone could get something from Stephen King, whether it be ideas for how to write, a plan for publishing that first novel, or some simple style tips for turning that ‘blah’ paper into the masterpiece it always dreamt of being. If none of this appeals to you, then simply reading about his life story is an experience of its own. Though my journey to follow the counsel of Stephen King was slightly misguided, I have found great success and self-gratification in the process I have begun. By sitting down and writing a thousand words every day (or most days) I have been able to move a story forward more successfully than I have done at any other time in my past writings. In the end it doesn’t matter what goal you set so long as you have a concrete goal for each day. So if you’re a writer who’s struggling to make any headway, this book could provide you with the help you need to move forward. Everyone who aspires to be a successful author could get something from reading this book whether it be guidance on editing and proofreading, a plan for how to start writing, or simply advice on how to find an agent. 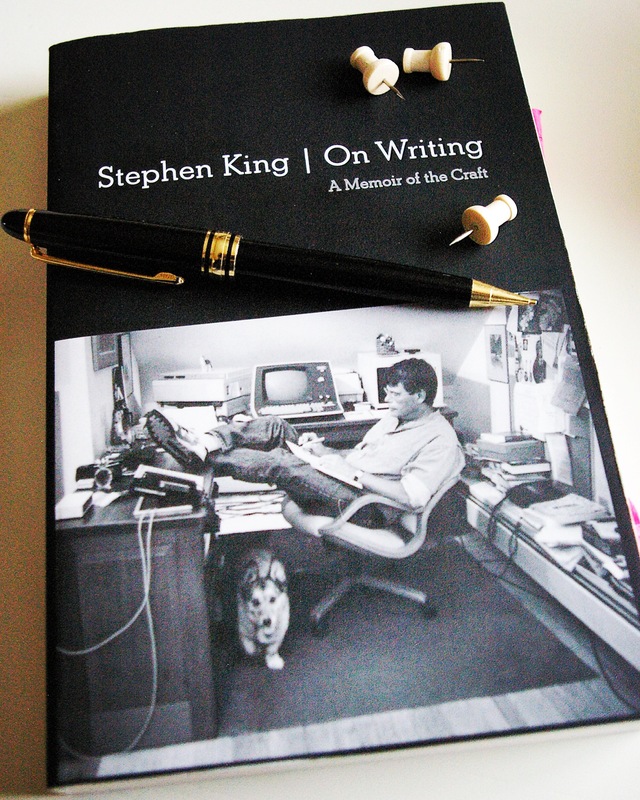 It is a compact, yet comprehensive, book on writing. This entry was posted in 2016 Book Challenge, Book Reviews, Inspirational, Nonfiction, World of Books and tagged Book, how to write, Memoir, nonfiction, On Writing, Review, Stephen King, writing advice. Bookmark the permalink.